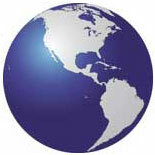 Since 2002, Global Wind Energy is an international consulting company based in Paris specialized in Wind Energy. From wind farm project implementation and management, wind measurement campaign and analysis (wind Atlas), wind turbine supply, project funding, business implementation to policy advice, our company offers complete services that create or maximize our customers’ experience in the Wind Energy sector. Should you represent the private or public sector, an NGO or international organization, our Wind Power specialists offer complete range of services from project implementation to consulting that generates a real value added for your operations. Global Wind Energy is expanding its projects worldwide in 11 countries for a total of 1200 Mega Watts so far. Our main activities are located in the USA, Denmark, Bulgaria, Romania and Lebanon where subsidiaries have been incorporated. From far reached locations to central areas, we are always interested to look into any new opportunity involving renewable energy. 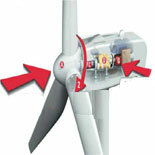 Global Wind Energy has built solid ties with key Wind Turbine manufacturers among them, VESTAS, NORDEX, SUZLON, REPOWER, etc. following co-development projects, reselling activities or as a customer. Each site is different; hence, projects are seldom similar. Power curves, wind speed and nature of geography are determining the choice of equipment and supplier.